A new and wonderful era in dentistry has begun. Dr Muradian's high-tech dental office in Simi Valley is pleased to offer this state-of-the-art technology to our patients. 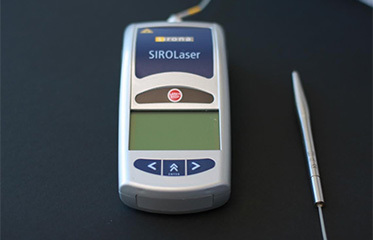 The Siro Sort Tissue Laser is used to reshape gums in order to created a more symmetrical smile. Or it can be used to help treat decay below the fum level. With a laser, these procedures and many more can be done quickly with excellent results. And you can resume your regular routine, with virtually no down time.